Power-packed skills, sufficient resources, ability to rightly scale technology, creative inclination, and efficient integrations and processes – is how we define ‘*instinctools’, a company from Belarus with over 17 years of industry experience and global presence, known for its optimized IT solutions. The company is recently ranked by GoodFirms as a Market Leader in Application Development. GoodFirms – a research & review firm from Washington which persistently works towards bringing forth the most efficient development partners – has featured instinctools in their latest round of research. The company is a full-cycle custom development & support services provider that has helped many small businesses, enterprises & individuals in realizing their ideas and implementing complex projects successfully. 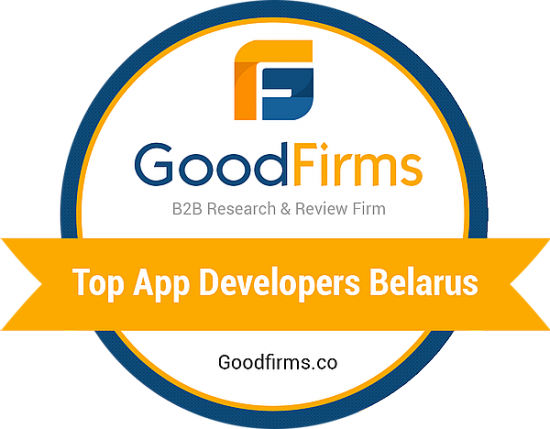 GoodFirms research recognizes instinctools as a Top App Development Company from Belarus. Their unmatched technical capabilities are what makes them beyond ordinary. Unlike other developers, instintools does not adhere to a particular methodology rather they adjust and correspond to customer’s in-house methodologies, practices, and standards which make working with the company flexible and easy. The company has in place their own tailor-made project management and control processes to ensure the transparency and efficient & timely delivery of the projects. Combining the best of infrastructure, technologies, resources, process automation, and project management the company excels in developing native and cross‐platform mobile apps, frontend & UI, and software solutions. Having developed numerous projects for their clients from all across the globe, *instinctools offers custom applications development, content management services, document management services, cloud solutions, database solutions, technical support, software testing, and design services. Before adding *instinctools to the list of Top Developers, GoodFirms thoroughly analyzed the company’s resourcefulness, market presence, experience, innovation & creative orientation, portfolio strength, development strength, technical and design capabilities, and their equation with their clients to draw their overall focus and deliverability. 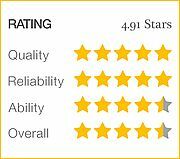 – stated some clients GoodFirms reviewed for *instinctools. As per the research and assessment based on the aforementioned dimensions, *instinctools has successfully bagged great scores proving to be a trusted development partner. *instinctools has gained an admirable total score of 47 out of 60 score points, with an 8.06 on 10 in Quality, an 8.2 in Reliability and a 7.43 in Ability, which rightly sets them apart and ahead. Their collaborative approach and great technical and project management skills have what made GoodFirms gladly identify *instinctools as a Top App development Company. View *instinctools’s profile on GoodFirms. GoodFirms is a research‐based firm that offers a unique and ingenious platform for mobile app development companies to stand out from competition and multiply their industry‐ wide value and credibility. GoodFirms aims to help thousands of service seekers in their search for identifying a perfect development partner matching their needs.